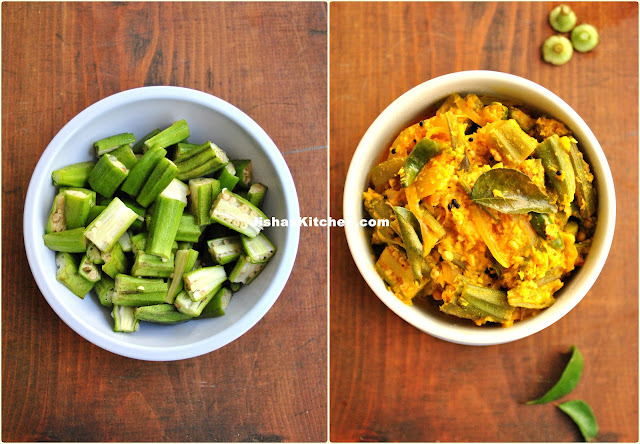 Today I am sharing the recipe of Vendakka aviyal / Lady's finger aviyal / Okra in ground coconut paste, which is an easy and delicious dish made of Okra. Before my marriage, I was not really a fan of okra and I used to avoid most of the dishes made with okra but my hubby loves okra and that's why after marriage I had to make dishes with okra often. I really didn't have any problem to cook okra dishes as long as some other person is eating it, but the things didn't work out in the way I thought, because my hubby used to make sure that even I am eating it..:(...I got married 3 years back and now I am kind of enjoying most of the vegetables including okra and this dish have become one of my favorite okra dishes. It goes very well with rice and chapati. First wash the okra and then pat dry using a paper towel and then chop to medium sized pieces. Next heat oil in a pan and add mustard seeds and when it pops up, add sliced onions and green chillies. Saute till onions become soft and then add chopped okra along with enough salt and fry for about 2 minutes. Then cook covered for about 10-12 minutes in a low flame, but do make sure to stir in between. Meanwhile grind coarsely grated coconut, red chilly powder, coriander powder, turmeric powder, cumin seeds and garlic by adding 2-3 tbsps of water. Then add ground coconut paste to the sauteed okra along with curry leaves and 3/4 cup of water and cook uncovered for another 8-10 minutes in a medium-low flame or till almost all the water is evaporated and the okra is fully cooked. Finally add curd, mix it slowly and remove from the flame. kalakki ketto Jisha..Ithu njan ithevare undakkiyittilla.Looks real yum esp since I love bhindis.. Delicious looking curry,looks so yummy. I love okra and this preparation looks delicious. 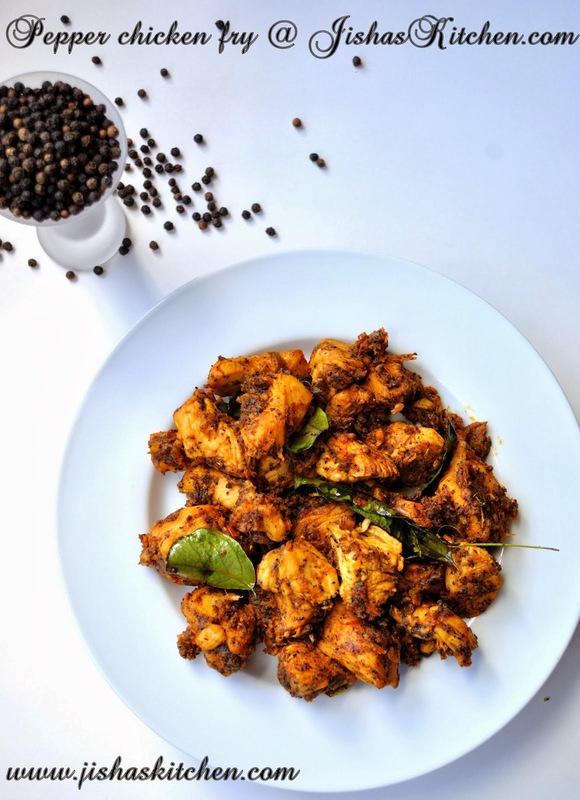 Ethu vere try chethitilla,authentic recipe,kandittu kothiyavunnu..will surely try this. njan vendakkaude oru aradikia annu, athu kondu try cheythu nokknam. Vendakka matram aviyal vechittilla,ithu adipoli! !will definitely try this out!! I love Okra and this looks like just the type of well prepared dish for me. 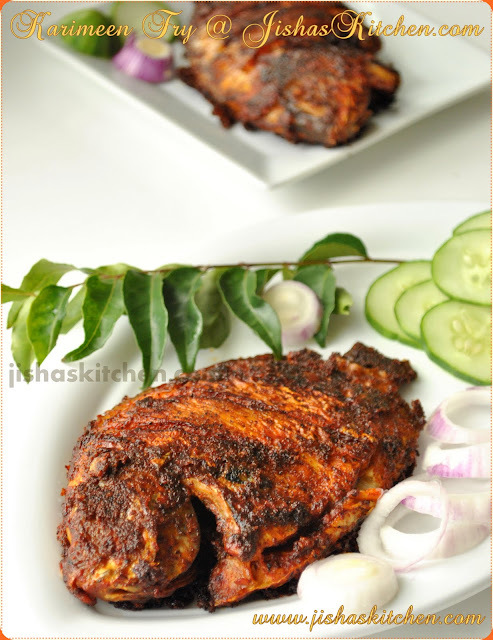 I have never added vendakka to the avial.. will try next time when I make. Aviyal with vendakka njan try cheyuthu illa kettu. kollam. Vendaikai aviyal is new to me. It looks so tasty and lovely.